Beef Jerky is an addiction that many people share. Fortunately, there are many cattle ranchers in Alberta, and as such, the Medicine Hat area has no shortage of fresh jerky that is vacuum sealed. Premium Sausage is a locally owned meat store located in Seven Persons, Alberta (about 15 minutes out of Medicine Hat on Highway #3). They have both beef jerky and pork jerky, although the beef is a little stringy, but the pork is exceptional. Apart from jerky, they have a wide selection of meats, baked goods, and the business functions as a General Store of sorts for the Seven Persons community and surround. My previous post on the Premium Sausage store can be viewed here. Sobeys is a grocery store in town and has some of the best beef jerky in town. They stock three flavours: Regular, Peppered and Teriyaki, all of which are very good. Mike’s Meats is a locally owned meat store located on Foundry Street in Medicine Hat. Their beef jerky is top notch and I have been back there numerous times. Apart from jerky, they are much like any other meat store, carrying an assortment of meat products. Reg’s Homestyle Meats & Deli Ltd is a locally owned store located along Sierra Drive SW in the Southridge area of Medicine Hat. They have beef jerky, although it is pre-packaged, and sometimes deer jerky. Along with this, they have a lot of frozen meat-goods, ice creams, drinks, and a deli. Reg’s is a regular stop for me and Taylor, not for the jerky, but because their deli makes the best sandwiches ever. Medicine Hat Farmer’s Market is, as title says, a market for farmers. They come and sell their wares, a lot of which includes jerky and other meat. Most of the attending farmers who raise cattle have their own style of processing jerky that vary in type (Angus and Deer being notable) and flavour. The Farmers Market is without a doubt the place to go for the biggest selection of jerky in town. Vaughn did a post on the market in the Spring and can be viewed here. Medicine Hat Meat Traders is a local business in Medicine Hat that processes and sells natural meat. Their “Dang Good Jerky” is just as it says, dang good! They have different kinds of jerky and is by far one of the best in town. Check out our previous MHMT post. 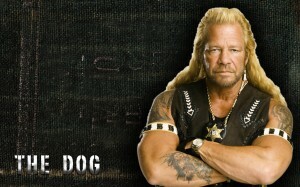 Medicine Hat will be visited on May 27, 2009, by Duane Chapman, or more popularly known as Dog The Bounty Hunter from the television show of the same name that airs on A&E. Dog will be performing publicly about second chances and faith. 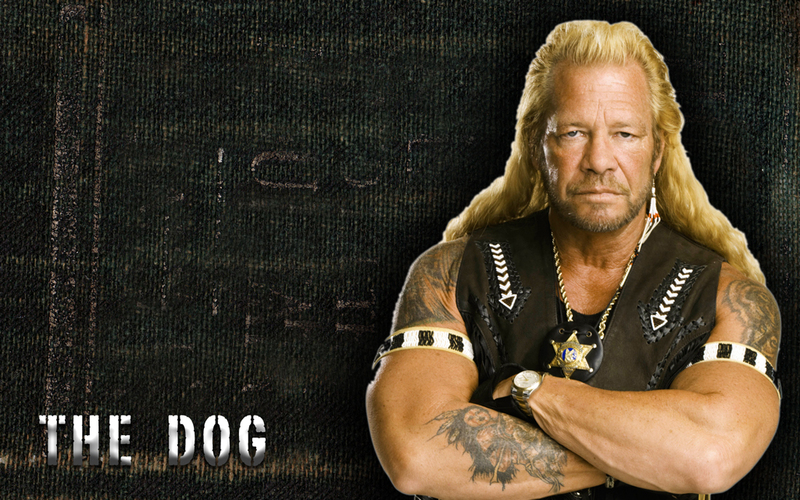 Duane Chapman, or Dog for short, is most well known for his A&E television series, but little known otherwise is that he and his wife, Beth, tour the United States and Canada to do public speaking. This event will be part of Emerge – A city-wide, non-denominational youth event, and will be helped at Central Neighbourhood Hub. And best of all, all the proceeds from the event on May 27 will go to the Eagle’s Nest Ranch (www.enr.ca).